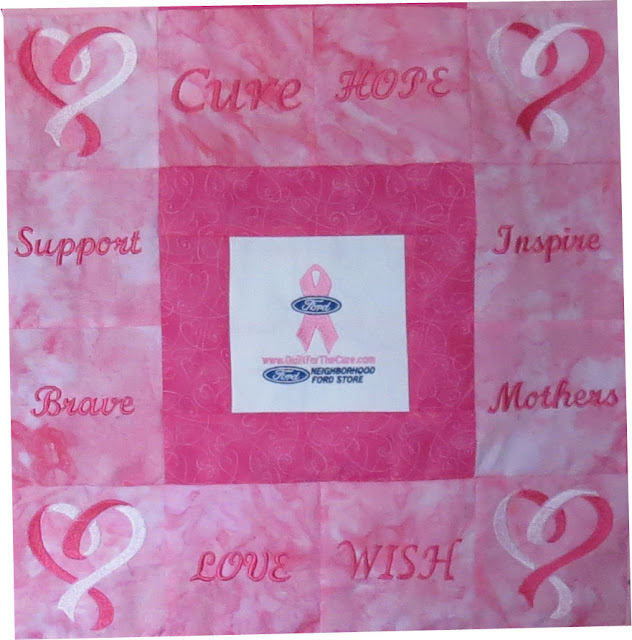 I only have the border to complete on the second Ford Cares Breast Cancer quilt. I was able to assemble the center part of the top. I like how all the extra embroidery blocks turned out. Even with the different fonts that I used. To me, the Cure and Wish words are larger than the rest but I'm going with that it was on purpose. We all wish for a cure on this disease. Here's the center part. I plan on adding a thin white border and a pink exterior border around the whole thing. I didn't get a chance to iron the top yet. Hope everyone is having a great weekend! A VERY honorable quilt to sew together into a representation of what women and men will do to fight against such an ugly disease. Very beautiful! 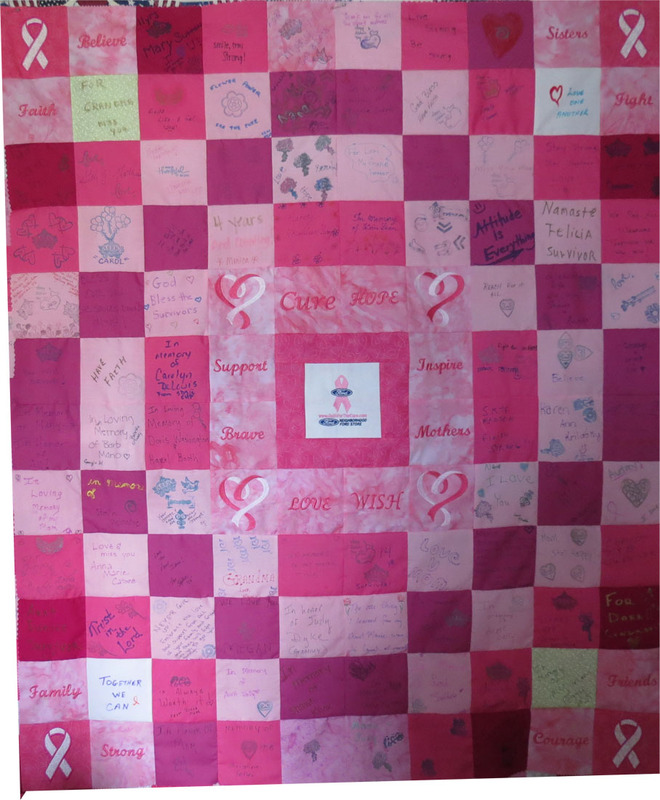 This is a very special and beautiful quilt. You are awesome for making it.